Dr. Creswell's hobbies include spending time with his family, golfing, and reading. He especially loves being the best Grandpa in the world to his two grandsons and two granddaughters! Dr. Creswell's patients include dogs, cats, rabbits, and rats. (Unfortunately, he is highly allergic to hamsters and guinea pigs...Sorry! Dr. Juarez, a Rialto native, knew at the young age of ten that she wanted to become a veterinarian. Her aspirations were no surprise to her family and friends because of her compassion and dedication to all living creatures great and small. She completed her undergraduate and masters degree in animal science at the University of California, Davis. Prior to attending veterinary school, she worked in the dairy industry as a marketing representative. 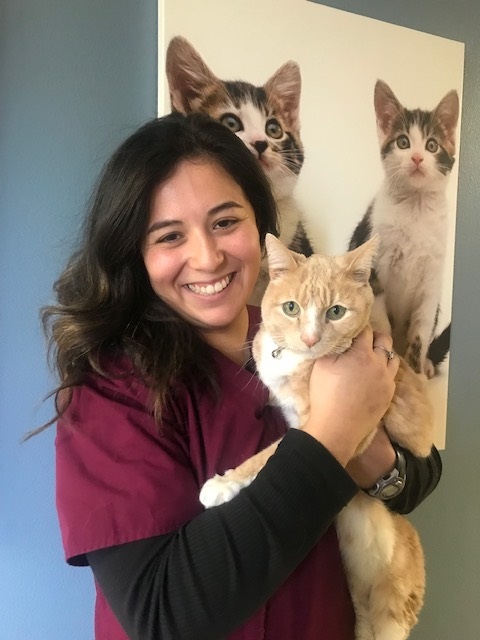 Dr. Juarez completed her veterinary degree at Western University of Health Science, College of Veterinary Medicine in May 2007 and has joined our team as a full-time staff Veterinarian. However, Dr. Juarez is no stranger to our practice. During her four years at veterinary school, she worked during her summer and holiday vacations at our hospital. In her spare time, she enjoys camping, swimming, cycling, playing tennis, and spending time with her husband and four-legged kids, dogs Bridget and Andre and her cat Jordan. Dr. Juarez also has a huge heart and another passion... she has traveled to Ghana, Africa with a team of professionals and has worked to improve the lives of the underprivileged people of Ghana. She is a "perfect fit" here, with the same admirable qualities that we love so much in Dr. Creswell. Dr. Juarez's patients include dogs, cats, rats, hamsters, gerbils, guinea pigs, rabbits and chinchillas. As long as Dr. Schroer can remember, she has always loved animals and knew that becoming a veterinarian would be her passion and livelihood. 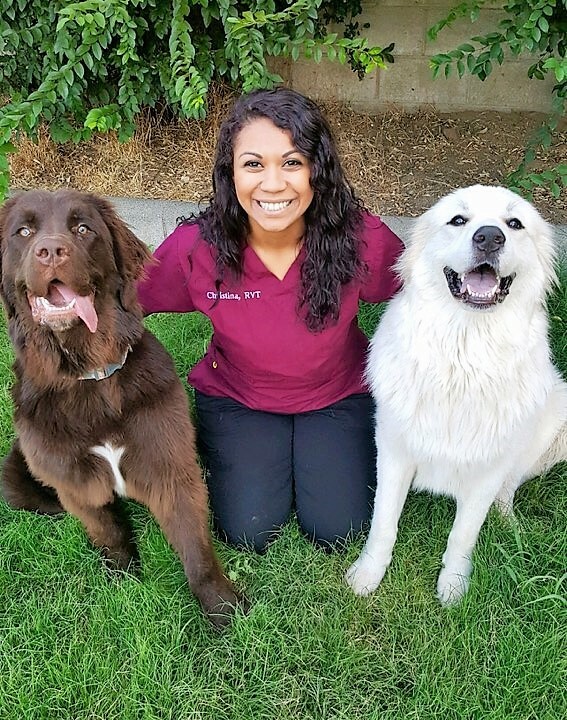 She received her undergraduate degree in 2006 from Cal Poly, Pomona, and her dream came true in 2011, when she graduated from the University of Minnesota with her Doctorate in Veterinary Medicine. She is an enthusiastic surgeon and thrives on challenging surgical procedures and learning advanced techniques. Her other professional interests are in internal medicine. Dr. Schroer loves the mountains and the beach, especially palm trees and sand. Her interests include hiking, beach trips, playing with her two dogs and cat, family time, and spending quiet moments with her husband, Mike, and their two absolutely ADORABLE son and new baby girl. Dr. Schroer's patients include dogs and cats. We were thrilled to welcome our 4th Veterinarian back in late 2013. After an extensive search for a Doctor that would be the perfect fit for our hospital, we finally found her! Growing up, Dr. Wolf always knew she wanted to be a Veterinarian. She fulfilled that dream in 2011 when she graduated from the University of Minnesota, College of Veterinary Medicine. Dr. Wolf focuses on delivering high standards of medicine and compassionate care for her patients. Her professional interests include surgery, internal medicine and dentistry and she is a strong advocate for gentle feline handling. Dr. Wolf is enthusiastic, gentle, patient and passionate in her care for pets and their people. She enjoys outdoor activities such as hiking, cycling, and swimming. You can find her in our hallways singing and always has a big smile on her face. She is a self-proclaimed “book worm” and a fearless chef. She also is bilingual in Spanish. No, your eyes are not deceiving you... Dr. Scott is Dr. Creswell's son! 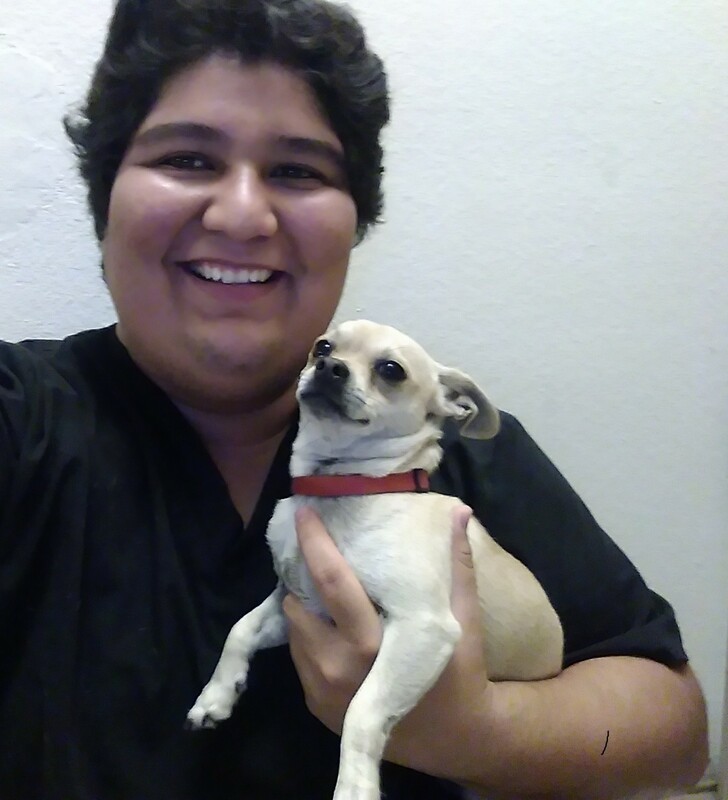 We are so happy and proud to have two generations of "Creswell" working at Rialto Animal Hospital and we have no doubt that you will be just as delighted! 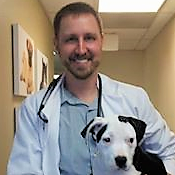 Throughout his childhood and early adult years, Dr. Scott grew up watching and helping his dad at Rialto Animal Hospital. He soon realized that he had the same calling to veterinary medicine and decided to attend Western University of Veterinary Medicine so he could work alongside his dad as a veterinarian. In March 2017, his dream was realized as he became our 5th doctor to join our team. Dr. Scott is an integral part of our dental health team and continues to pursue education about new and advanced techniques to bring to the dental team in order to ensure our patients are being given the best dental care possible. He also is passionate about surgery. Dr. Scott is a self-professed "foodie" and while some of his hobbies include "anything in the mountains", hiking, and playing basketball... enjoying his beautiful baby girl (Dr. Creswell's 4th grandchild) understandably takes up most of his free time these days. Our "Fabulous Five" has turned into the "Sensational Six!!" We are so very lucky and honored to welcome yet another AMAZING veterinarian into our family as of October 2018! Dr. Rogowicz is a Southern California native, having grown up in Riverside and now living in Fontana, CA. When she was just six years old, her family welcomed into their lives a dog, and from that point on, she knew she wanted to work with animals (we all know that feeling!) 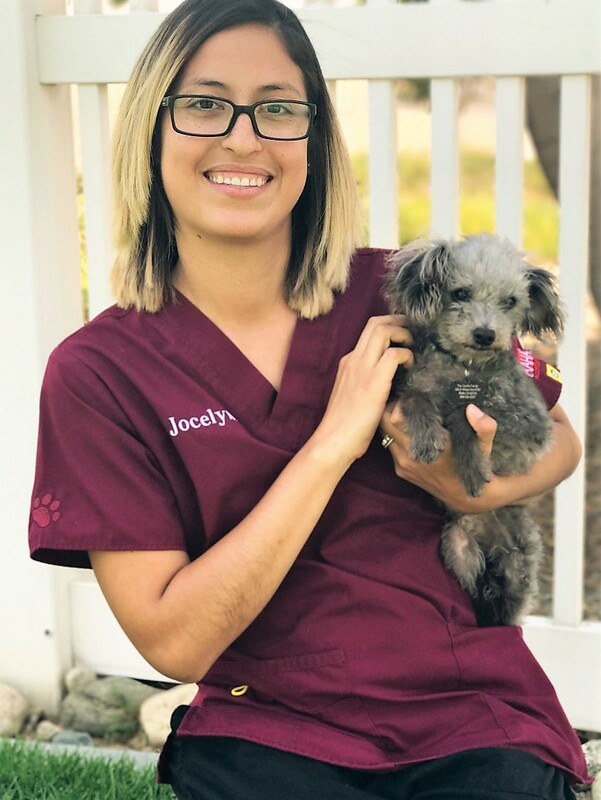 Dr. Rogowicz graduated from California State Polytechnic University, Pomona in 2006 with a bachelor's degree in animal science and then went on to pursue her dream of becoming a veterinarian by attending veterinary school at Western University of Health Sciences, Pomona, graduating in 2011. 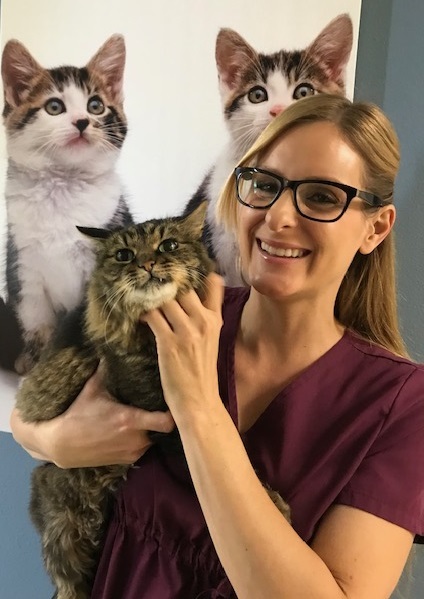 She has been practicing small animal medicine in Southern California for the past 7 years and has been loving every minute of it! Some of her favorite areas of medicine are dentistry, surgery, and who doesn't like snuggling with their patients at every opportunity??! 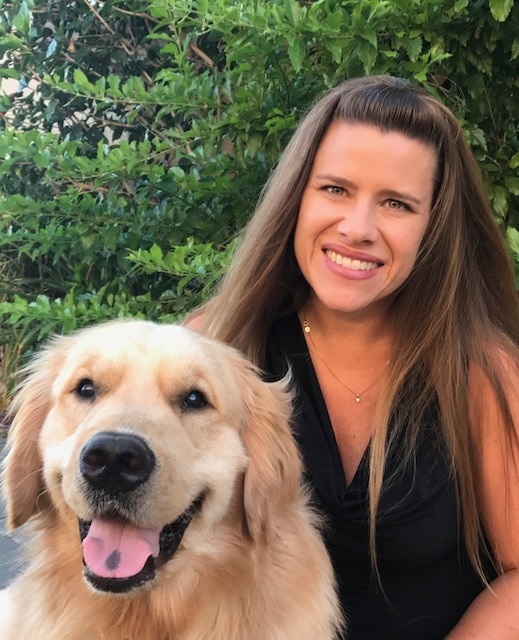 When not loving on her patients, Dr. Rogowicz spends her spare time enjoying various types of fitness activities, woodworking, DIY ("Do-It-Yourself") crafting of all sorts, and spending time with her family, including three of her own four-legged children. Our Client Service Representatives are the first smiling faces you will see when you visit Rialto Animal Hospital. They are first and foremost in the care of you and your pets and provide assurance of the care you will receive during your visit. Our team includes Diana, Breanna, Carolyn, Valerie, Jenny, and Lexy. They are here to make you feel welcome and comfortable! Breanna recently moved to the area from Northern California (and we are SO glad she did as she is an amazing addition to the RAH family!!) where she studied wildlife management at Humbolt State University. She has worked in the veterinary industry for the past 4 years and greatly enjoys working with animals and their humans. In her spare time you might find her with binoculars, exploring the Southern California area and learning the native bird species that were uncommon in Northern California. Breanna also enjoys cooking, video games, and spending time with her three-legged Chihuahua mix, Ellie. UPDATE! Breanna is now a newlywed! We are so happy for her!! 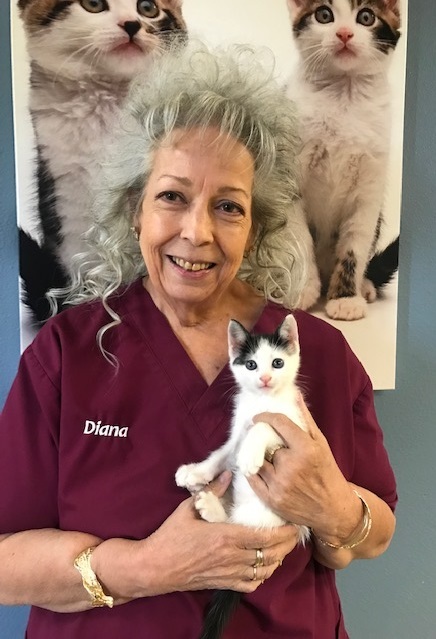 If you've been a long-time friend and client of Rialto Animal Hospital, you know Diana! She has been dedicated to making a difference in the lives of pets and their people since 1995 as a customer service representative. Diana has been the friendly face and voice of our hospital for over two decades and the knowledge she has to share is immeasurable! 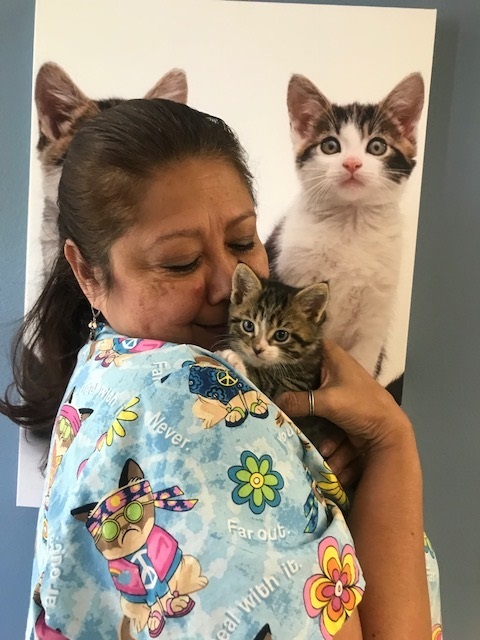 After helping her patients and pet parents, Diana goes home to spend time with her husband and four "kitty kids": Clicker, Joy, Star, and Lilly. Jenny is another immensely talented lady that is a part of our Customer Service Representative team and will be one of the very first to greet you with her brilliant smile, positive energy, and a "How can I help you Hon?" She graduated from Cal Poly University, Pomona in 2006 with her Bachelor's degree. She has had over 10 years of experience in the veterinary field. In her words, "I have always had a passion for animals since I was young. Animals speak to you and heal your soul no matter what language you speak"... we couldn't have said it better Jenny! 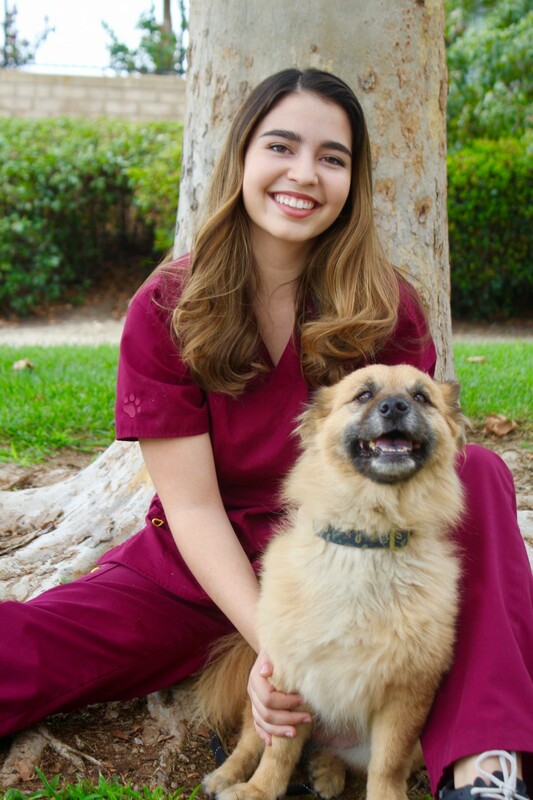 Valerie is one of the many radiant and smiling faces you will see greeting you at Rialto Animal Hospital! We LOVE her energetic and animated ways, which she developed as an entertainment performer at Disneyland where she worked for 11 years. She strives to bring a bit of "Disney magic" to our clients and loves to keep both the four-legged and our younger (two-legged) clients happy with her over 13 years of customer service experience. Valerie is the very proud mommy of her (human) baby girl, Lola. She also has fur babies "Chucky" the Dachshund and Siberian Husky "Lucy" (pictured). She is a Halloween and horror movie enthusiast. She also loves pop and country music, dinosaurs, going to the movies, and is WILD about cheering on 'her team', the New England Patriots! Yahaira (loving referred to as "YaYa") was welcomed with open arms into our growing family in the spring of 2018 and we are confident that she will greet you with open arms too! She is yet another with multiple talents, having been a hairdresser for almost ten years before going into culinary school and transitioning into the culinary industry. She decided to explore how she could pursue 'working' with her love for animals by joining our team as a full time Customer Service Representative. She continues to also run her custom cake business from home so she can enjoy "the best of both worlds". YaYa has three four-legged children: "Lulu", a 12 year old Chihuahua, "Tiny", a 9 year old Chihuahua, and her newest addition, "Mila", an Old English Bulldog puppy! YaYa is absolutely obsessed with anything and everything Disney (she joins a growing Disney club here! ), loves scrapbooking, laughing, and "dancing like no one is watching"! Another one of our resident "kitty fanatics", Carolyn is another "PURR-fect" addition to our Customer Service Representative (CSR) team and she is usually one of the first to greet you with candies and coffee when you enter our doors! Carolyn comes to us with over 25 years of experience in the veterinary field, working for nearly two decades as a technician, and over 5 years as a CSR in veterinary hospitals during her impressive veterinary career. Don't let her young personality and energy fool you! She is a proud mom of three grown children: Angela, Joe Joe, and Richard. She is also a grandma to seven beautiful girls and a great-grandma to a baby boy! Her four-legged fur babies include her kitties Arsenic, Old Lace, and Mortimer. Each of our amazing veterinary assistant and technician team each bring unique background and experience to our hospital. Most have had formal training, either through an accredited technician program or a University. Nearly 40% of our team have earned four-year college degrees. We are also very proud to say that we have had some of our staff apply (and be accepted) to veterinary school! These people work hard, and they are devoted to doing their best for our patients and their people! Our team includes: Lisa, Alondra, Elsa, Karla, Nicole, Christina, Benny, Jocelyn, Leslie, Gina, Sabrina, Sherry, Maria, Christy, Kristen, Catherine, Taylor, Perla, Lupe, Emily, Stephanie, Jose and Erick. Lisa Norkunas, RVT and Hospital Director has been with Rialto Animal Hospital since 1995. As a child, she and all those around her knew it was "her calling" to work with animals and work in the field of medicine. She graduated with honors from Cal Poly Pomona in 2003 and remains a member of the Golden Key Society. She received her Registered Veterinary Technician (RVT) certification shortly after graduating. Lisa accepted our hospital manager position in June 2003, and became the hospital director in December 2005. 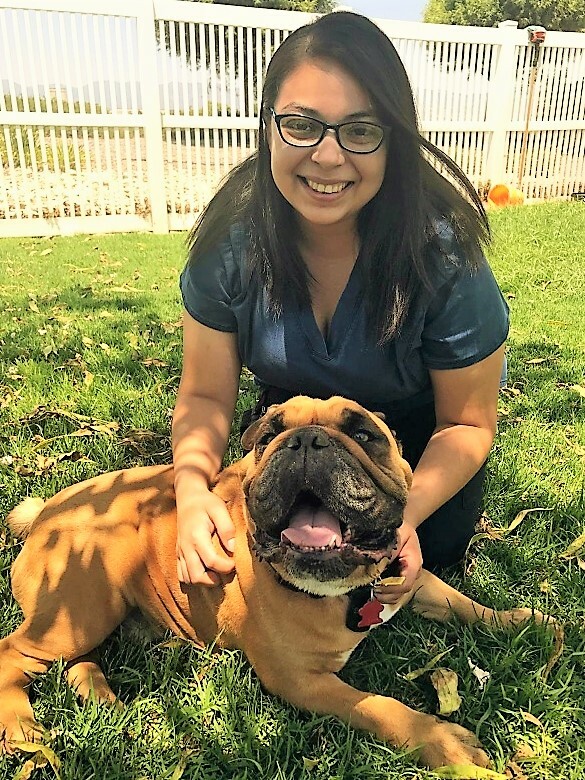 She is a member of the Inland Valley Veterinary Technician Association, the California Veterinary Medical Association, the American Animal Hospital Association, the North American Business Association, and the Veterinary Management Group. Rialto Animal Hospital, our clients and their pets are her "second family"! Sadly, her family had to say goodbye to their long-time pets and our hospital mascots, Maverick and Montana. "The Boys" will always be close to their hearts and live on in the hearts of the many lives they touched over the years. BUT... her family now has two more Golden Retrievers, River and Ryder! As they grow out of "puppyhood", we hope to see them hanging around the hospital like Maverick and Montana did! When Lisa is not working, she loves spending time with her husband, two daughters and son, and her dogs River and Ryder. She is a Girl Scout Leader, which keeps her extremely busy. She is a 'country girl' at heart that enjoys horses, country music, and dancing (good luck keeping up! ), boating, wakeboarding, hiking, working out, Disney-everything, reading and playing softball. 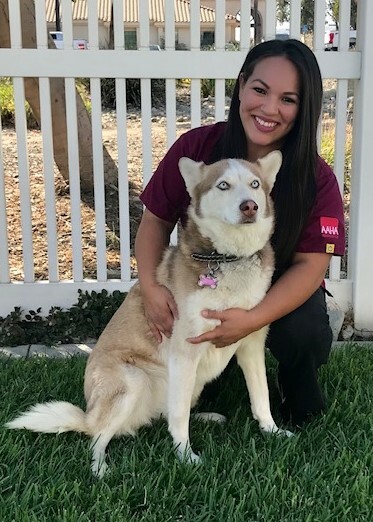 Alondra Luna, Hospital Manager and veterinary technician joined the Rialto Animal Hospital family in 2003 after working several years for the San Bernardino Humane Society. From an early age, she knew that caring for the furry family member was her passion. When at work, you can be sure that she strives for improvement, growth, education and provide both clients and pets with the best care. She received her Bachelors of Science in Pre-Vet Medicine (Animal Health Science) from Cal Poly Pomona in 2006 and a few short years later became assistant manager in 2009. Unfortunately, she and her baby girl said goodbye after 14 wonderful years of companionship, but her memory will forever be present in the hearts and minds of all who knew her. 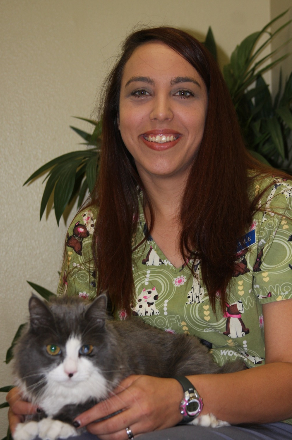 Nicole joined our staff in September 2007 and is quite versatile in her roles at Rialto Animal Hospital. She has taken great strides in her role in the treatment room and continues to go above and beyond to ensure our patients receive outstanding care. Nicole and her husband of 17 years enjoy dinners out and spending time with their nieces and nephews. Nicole is continuing the process of obtaining her RVT license! Elsa, a Registered Veterinary Technician has been with us since 2004. She is a graduate of Cal Poly Pomona and is a valuable member of our team. When she is not helping our patients and clients, she is always studying to expand her knowledge. Elsa is detail oriented performs the many of our patient's dental cleanings. We're excited that Elsa has earned her RVT license, thanks to her dedication and hard work! Karla has been a long-time veterinary assistant of Rialto Animal Hospital. She has two Siamese mixes, Mugen and Soleil and a "problem child" Schipperke named Sierra (pictured). In her spare time she likes to create art of all kinds, listen to her husband's band play, and groom dogs. Karla recently passed her RVT test (we knew she would... smart cookie that she is!!) WAY TO GO KARLA!! She and her husband Noah love doting on their handsome "little man" at every opportunity! Benny joined our veterinary assistant team in August 2012, after many years of experience in veterinary hospitals and in the show ring with purebred dogs. He is a big Dodgers and Green Bay Packers fan and likes going to car shows with his wife and six - Yes, SIX!- sons. He restores old cars, including his 1950 Chevy and is an active member of a local car club. He is a self-professed "cat whisperer," and hasn't lost a whisker, yet! He has 6 dogs, including his Giant Schnauzer, Brooklyn (pictured) and 2 cats. Christina joined the RAH family in 2016 as a Registered Veterinary Technician. The majority of the time you can find her working as part of our dental team, helping treat and prevent periodontal disease. She believes that education, whether providing it to our clients or learning for herself, is the key to being the best advocate for her patients. Christina is always striving to learn new information and techniques in order to improve her skills and patient care. As a child Christina has always loved large dogs and is proud to have two giant fur-babies of her own, Zannah, a Newfoundland, and her big brother Bane, a Great Pyrenees. She also has 3 very spoiled cats (Elliot, Mowgli and Kit). When not at work Christina enjoys reading, drawing, working out in her home gym and cooking new recipes with her husband. Taylor joined our team after finishing her internship with us earlier this year. Yep, another one we just couldn't let slip away! Taylor is originally from Florida where she worked as a veterinary assistant and found herself in California through the military. 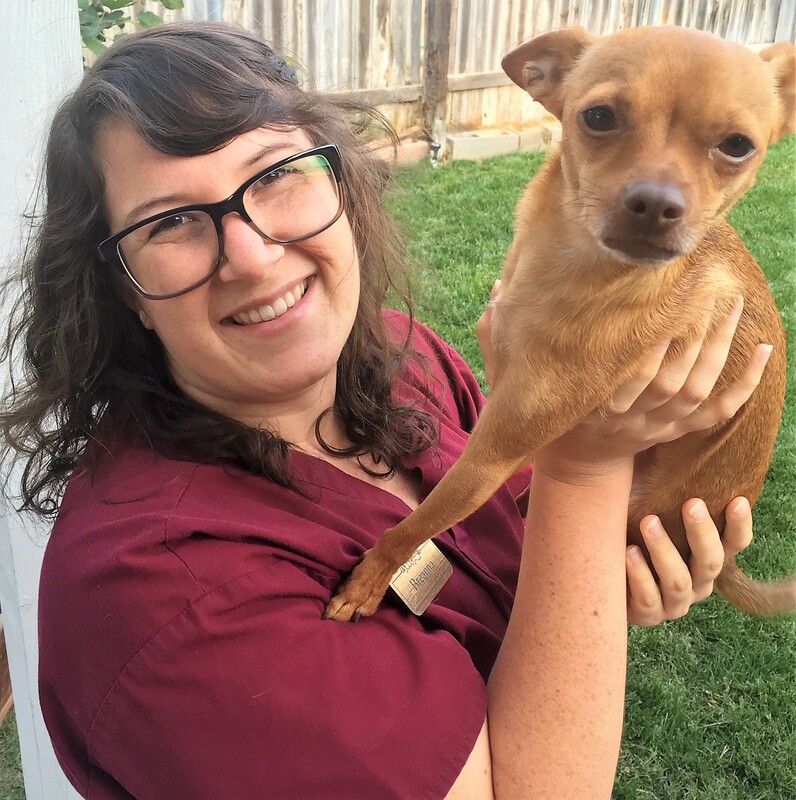 Taylor has earned her associates in veterinary science and feels like she found her home here in California and at Rialto Animal Hospital. She loves spending time hiking and going on adventures with her husband and beautiful daughter. Taylor plans to continue her education by pursuing a goal of obtaining a bachelors degree and RVT license this year. Jocelyn is one of our veterinary assistants, who came to us in 2009 as a volunteer and we never let her leave! Her quiet, kind, and giving nature has made her a perfect fit for our team. Jocelyn loves playing sports, particularly soccer and volleyball. She and her husband are now proud parents of three beautiful and busy boys. Jocelyn has one Poodle Mix, Rex. 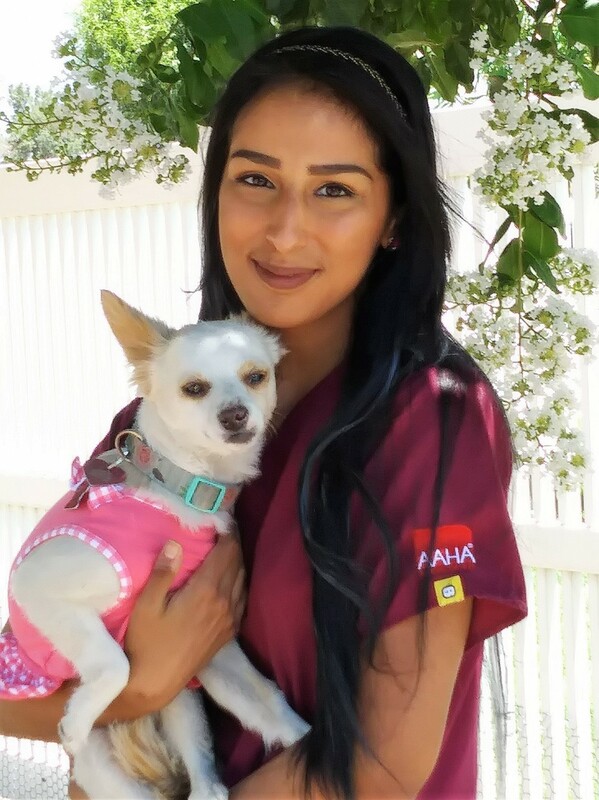 Lexy's beautiful smile will greet you at our desk and she is one of RAH's Chihuahua enthusiasts. While she young to the field of veterinary medicine she has loved animals since she was a very young child. Lexy is the mom to five fur-babies, Selena, Amelia, Paco, Panchy and Atlas (Yes, they are all rescued Chihuahuas). On her days off you can find her at the local dog parks or walking her dogs around the neighborhood. Lexy has a deep love for video games, Tim Burton movies and the famous Snoopy & Woodstock. Maria (nickname of Mag) is one of our newer additions to the RAH family. 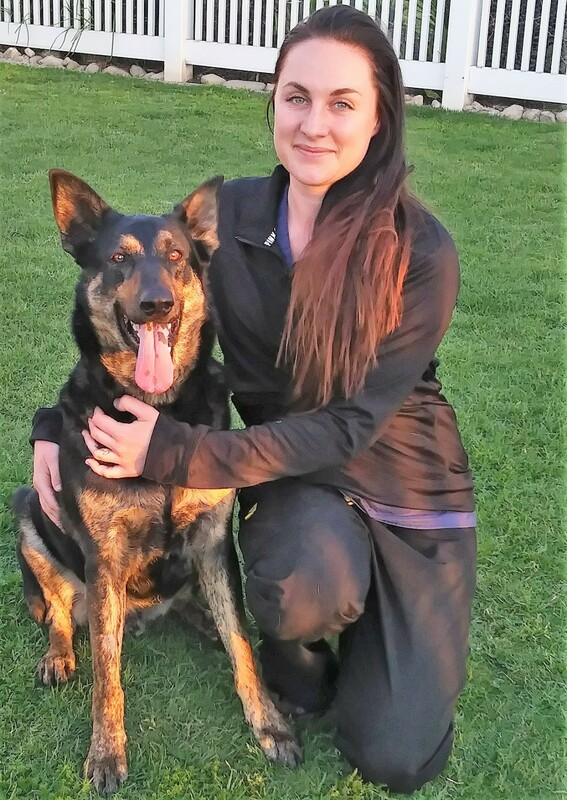 She came on as a kennel attendant and quickly realized she wanted to be more involved in assisting our DVMs, patients and clients in exam rooms and worked her way into becoming one of our valuable vet assistants. Maria enjoys hiking and fitness and going on new adventures exploring the great outdoors. She considers herself a 'foodie' and loves trying different foods. In her free time Maria enjoys sewing and visiting new places. She dreams of traveling the world one day. Update! Mag is recently engaged and will be moving to start her new life. We are so thankful that our paths crossed and already told her that if she is ever moves back, she has a home here! We wish you your "Happily Ever After" Mag! You will be missed! Leslie joined the RAH family in 2012. As a veterinary assistant, she is a pleasure to work with because she is always smiling, friendly and willing to help. We love how patient she is and what a great listener she is to each and every one she meets. Leslie enjoys eating pasta, watching romantic movies, and going hiking. Over the last few years, she has loved all of the experiences being a mommy has brought her. 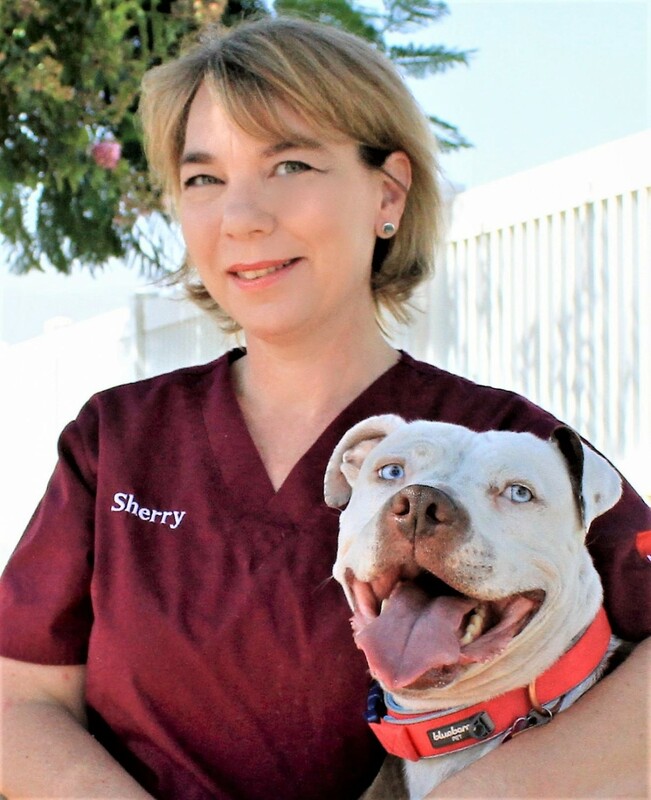 Sherry is one of our veterinary assistants who joined the Rialto Animal Hospital family in 2016. She had been a long time client and has worked with animals in many different capacities for over 30 years. 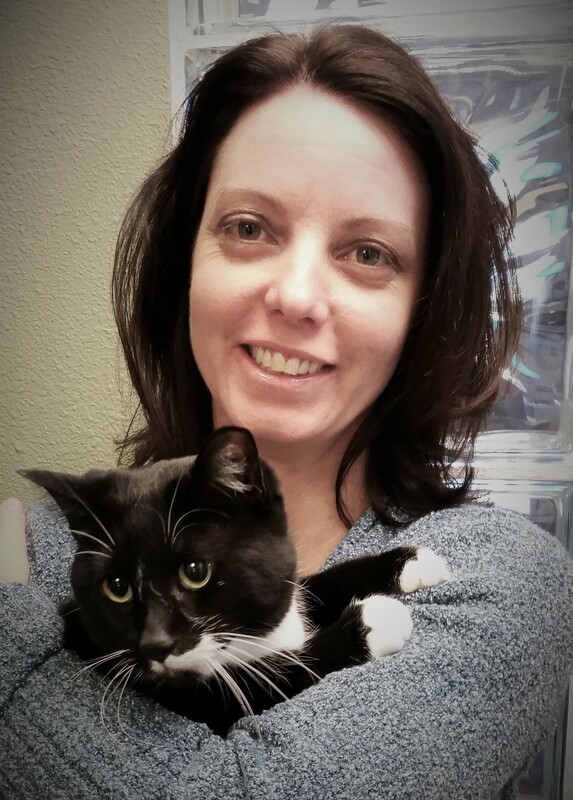 From co-owning and managing a boarding/grooming kennel to working in a reptile store, to dog training, to behavior evaluations and adoption counseling at a local shelter, she enjoys anything that involves furry, feathered or scaled critters. Sherry's free time is spent with her family and friends camping, lazy days at the beach watching her husband and 2 teenaged boys surf, hiking, mountain biking and attending her sons skateboarding events. She has a personal menagerie of pets that include 3 dogs (Piper pictured), a tortoise, 2 snakes, a bird, a rabbit a bearded dragon lizard, 2 beta fish and a new kitten. Sabrina came to us as an intern from Carrington college in late 2014. She became an official member of our veterinary assistant team and family shortly after graduation and continues to be a great asset to the team. Sabrina is busy working and studying for her RVT test but continues to make time to spend with her family, close friends and her 2 "sons" Razzle and Tank. She especially enjoys traveling with her boyfriend, trying different cuisines, filming drone videos of hiking and the beach, listening to music and like all girls, shopping! 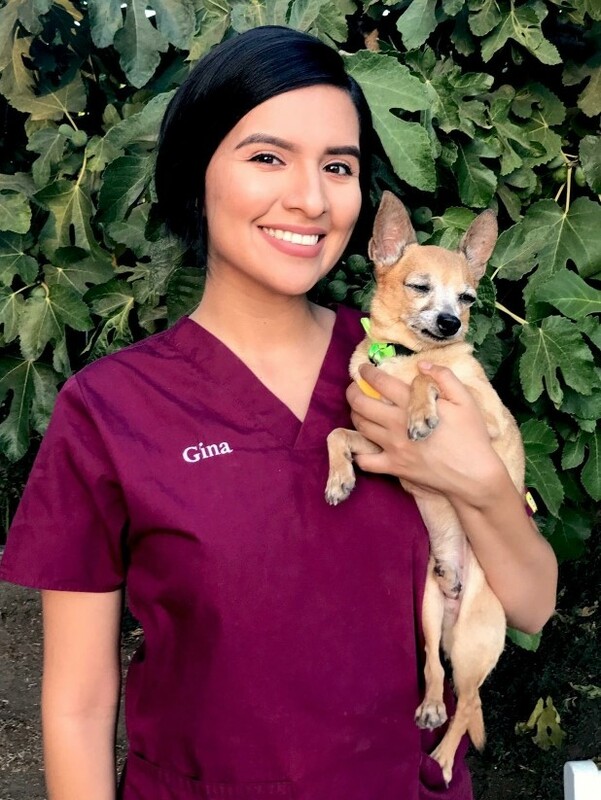 Gina started her career at Rialto Animal Hospital as an intern, and we liked her so much that we couldn't let her leave! She has now been a pivotal part of our exam room team for several (wonderful!) years. During your visits with us, her bright smile and sweet nature will calm any nerves and warm your heart. Our self-proclaimed resident "hippie" enjoys creating art, tie-dye, drawing and making things beautiful. She loves Disneyland. She is a recently converted "Star Wars Geek," who loves her Chihuahua Peanut... He even has his own car seat and you bet he goes everywhere! Gina makes our staff complete, and we wouldn't have it any other way!! Kristin continues to be a WONDERFUL addition to the RAH veterinary assistant team since hired in February 2017. Her gentle nature and love of animals was evident from the start. Kristin's experience at RAH has strengthened her love for veterinary medicine and has further motivated her to continue her education toward her goal of becoming a veterinarian. She is currently attending Cal Poly Pomona working towards her Bachelor's Degree in Animal Science. In her free time she loves reading, photography, and spending time with her two dogs Ginger and Gunner. Christy is another of our born and bred California girls who has been a huge animal lover from a very young age. 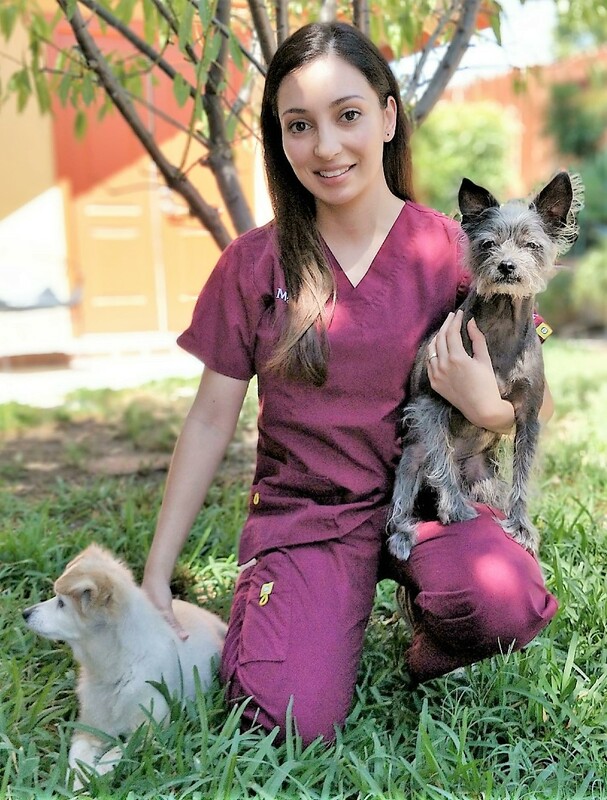 She decided to pursue her love of veterinary medicine after coming back to California from a short stint in Las Vegas. She is currently attempting to attain her Registered Veterinary Technician license to further her career in the field. She is 'Mom' to a wonderful English Bulldog named Blu who found her. When not at RAH, Christy has been planning (in her own words) a 'big, fat, Mexican wedding' after recently becoming engaged to her fiancee after five wonderful years of being together with their son. She is a self-proclaimed "Disneyholic" who loves to watch and sing along to any Disney movie around. Her hobbies include enjoying a good book, having spontaneous adventures, traveling near and far, and spending quality time by making memories with family. Perla was welcomed into our RAH family in September 2018. 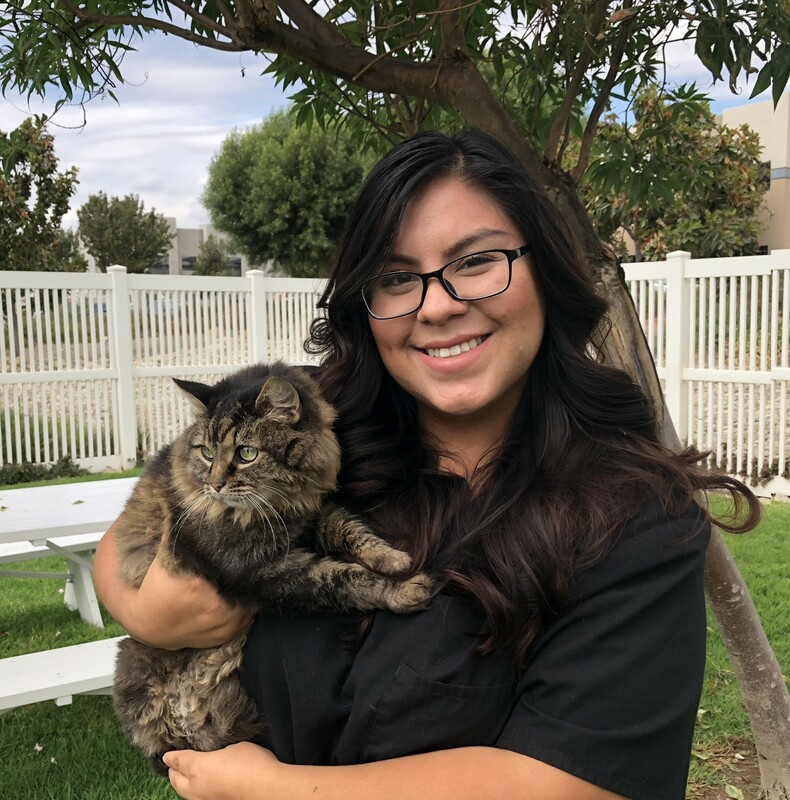 Born in Fontana and now living in Rialto, she is a true 'local' that always knew she wanted to work with animals and is excited to now be working and helping those in her community! 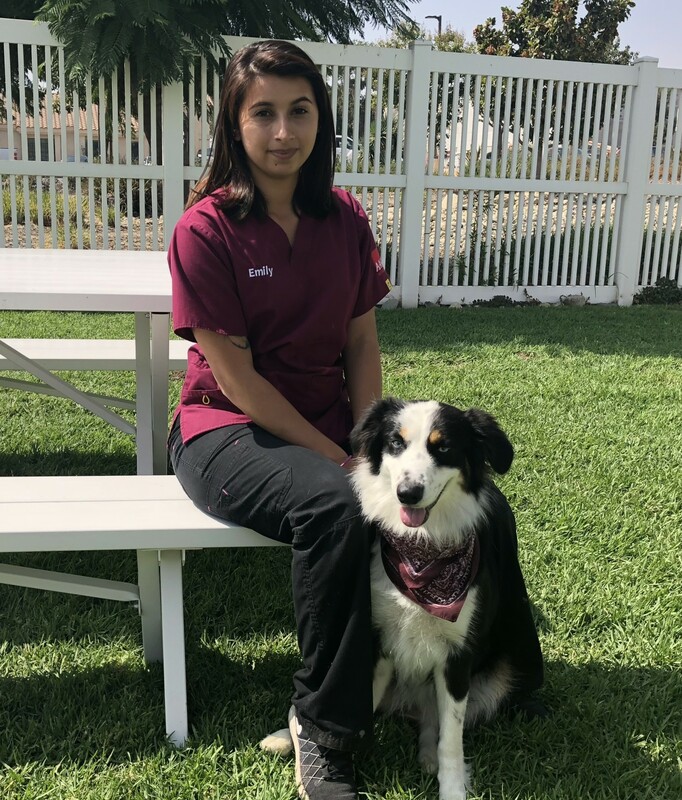 Perla graduated from Platt College, Ontario in 2017 where she studied veterinary technology and has worked in other animal hospitals gaining experience before joining our team. She aspires to attain her Registered Veterinary Technician (R.V.T.) license and eventually work with lions and tigers and bears, oh my! (Okay, not really the bears, but we couldn't help it for our Wizard of Oz fans out there!) She shares her love with her little Terrier mix, "Gregory" and her orange kitty, "Tiger". Perla is also terrific with (human) kids, having worked with hundreds of children and their families over the past five years as a swimming instructor. Her hobbies include going to the movies, drawing, driving in the mountains, and listening to music. Give her some french fries (she loves them!!) and she's one happy girl! Emily joined our family in 2017 as a patient care advocate. If your fur baby is staying/boarding with us in our "hotel", she is one of a very small, elite group of caregivers we have that is sure to treat your kid the prince or princess that they are! 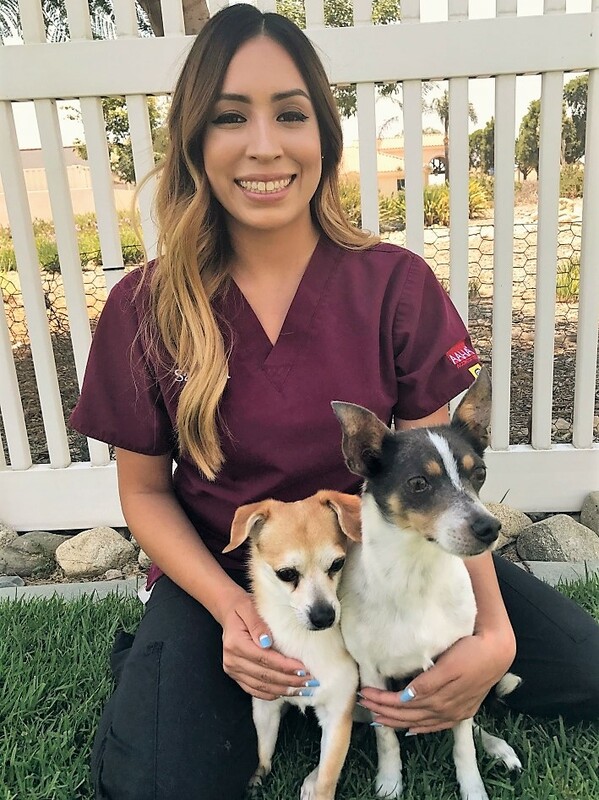 Emily aspires to grow within the veterinary field and is currently a senior at California State University, San Bernardino, majoring in biology and pursuing certification to become a Registered Veterinary Technician. When she is home, she loves on her own six canine fur babies: Ginger, Max, Mora, Mazy, Luna, and Marley. Emily also loves to pursue new adventures, loves to contemporary dance (she even used to dance at Disneyland and California Adventure! ), and is also another one of our self-proclaimed "foodies", who enjoys trying new foods with her boyfriend. Meet Stephanie! We were ecstatic when she joined our team as another 'elite' patient care advocate in January 2018 as she was finishing her schooling. She graduated from California State University, San Bernardino in June 2018 with a bachelor's degree in Biopsychology. Upon completion of school (we now have her full time!! ), she has been training to work in exam rooms where we are sure she will impress you as much as she has impressed us with her beautiful personality, smile, and caring ways! The things she enjoys most about her career is working with such a supportive staff and getting to meet new fur babies every day. She says she fell in love with the veterinary field when her best friend (who actually works here too... thank you Emily!) introduced her to the job. After snuggling with her patients each day, she gets to go home to her own fur kids, Lady, Shei, and Mochi. 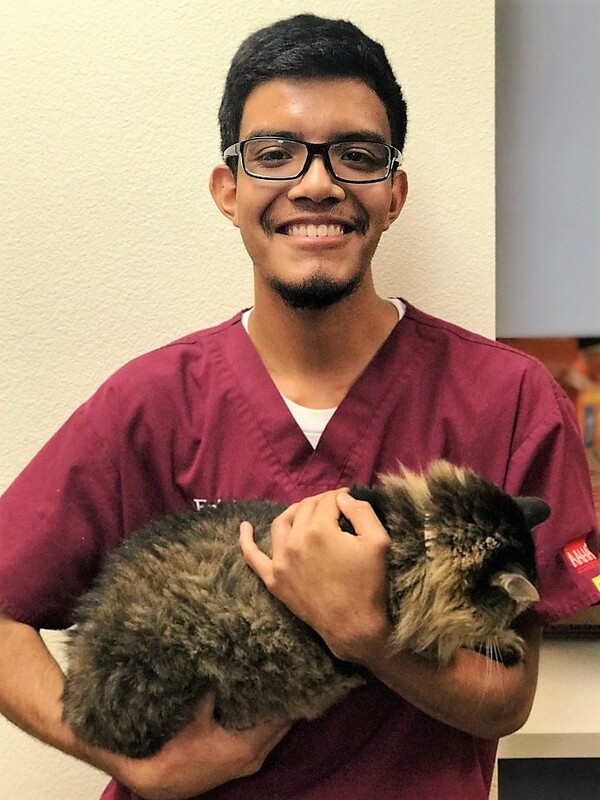 Erick is one of another of the "elite squad" of patient care advocates here and is currently attending CBU working toward his veterinary degree. He enjoys video games, playing sports (especially soccer, volleyball and football), and writing short stories and poems. Erick loves all animals and volunteered at local animal shelters for 3 years to learn as much as he could about his passion in helping animals. Jose is the most recent one to join our patient care advocate team at Rialto! When we met him, we all thought he was a big teddy bear that had to be a part of our team! Born in Honolulu, Hawaii (maybe this is the 'aloha and ohana spirit' that both people and pets sense in him! ), he moved to the mainland when he was a very young child. He graduated from Carter High in 2016, where he was his high school's mascot in his senior year. He is aspiring to make a career for himself in the veterinary field and looks forward to meeting new pets and their people! Jose has two Chihuahuas, Rocket and Groot. Jose loves playing video games, enjoys going to theaters, and considers himself a movie buff with his favorite movies being "The Pianist", "The Lord of the Rings" and "Sherlock Holmes". He enjoys "living life in the moment" by putting down his phone and playing table top games with friends. He is another resident writer as well, currently drafting a fantasy novel and 'teenage slice of life' novel.